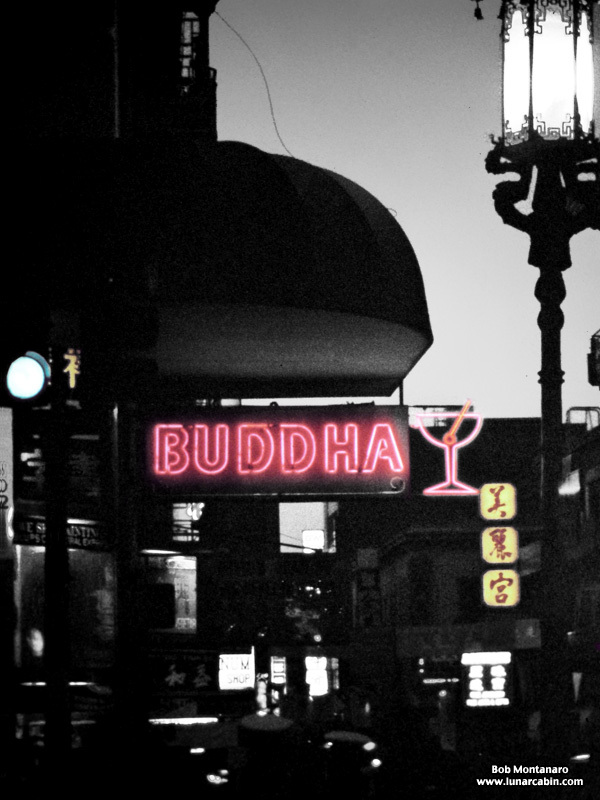 The old Buddha bar in San Francisco’s Chinatown taken decades ago before the war. At one time an out-of-the-way hole-in-the-wall place to spend a day drinking. I see online that is has gone fairly upscale. Actually, the inside is unrecognizable from the way I remember it. A massive change from the true, rundown dive it used to be full of beat characters amidst no money ambiance. I guess they threw away everything but the neon sign. Good for them. From the slide archive.